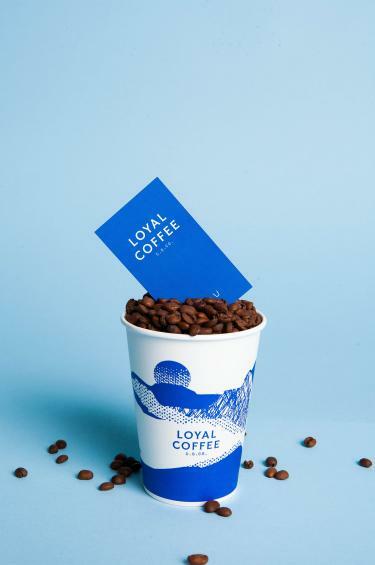 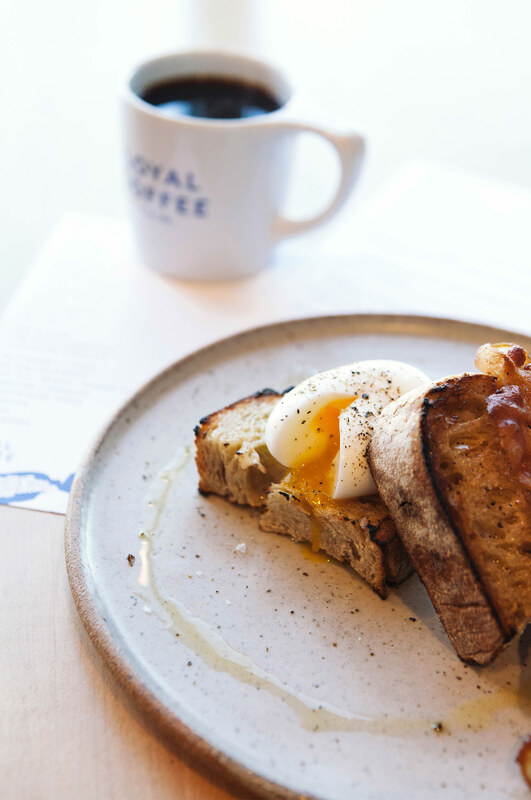 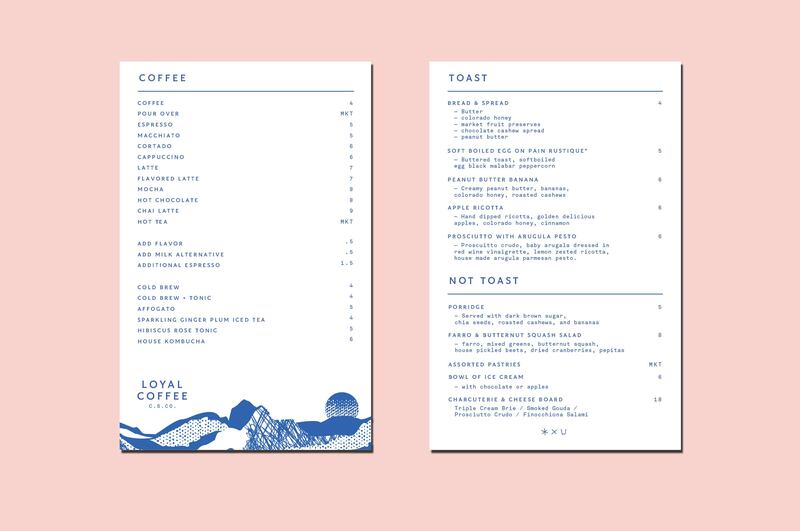 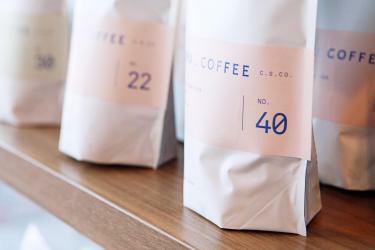 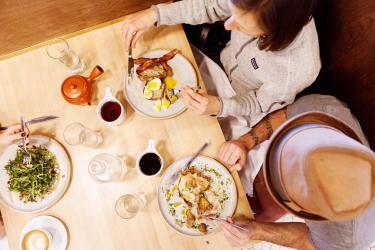 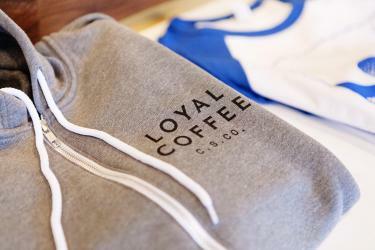 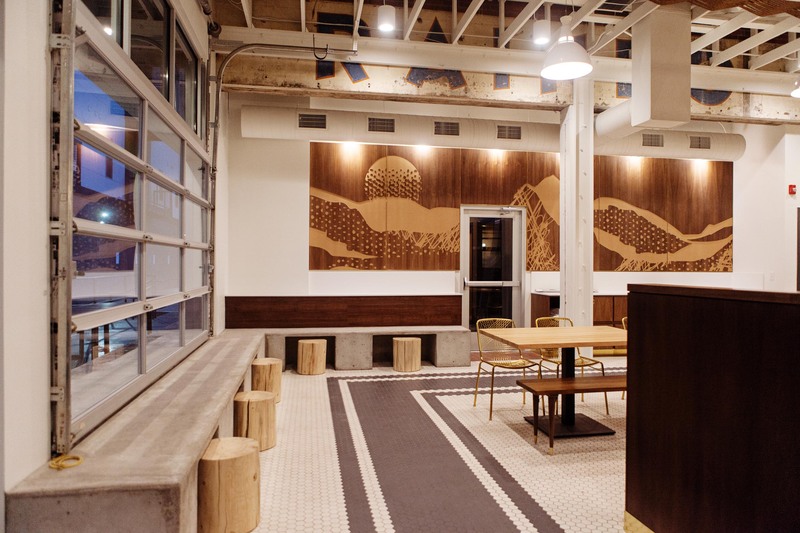 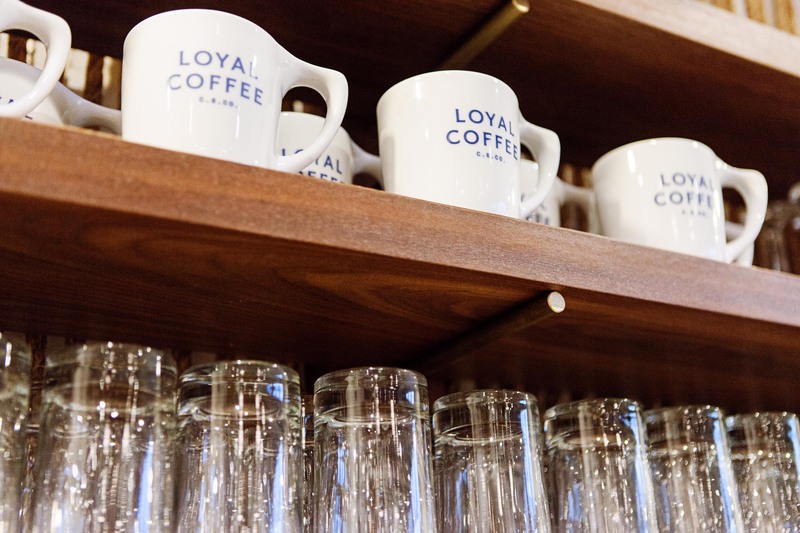 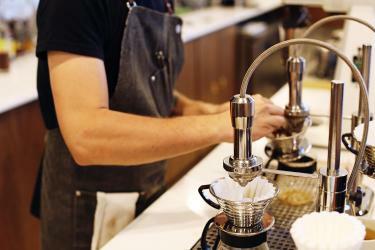 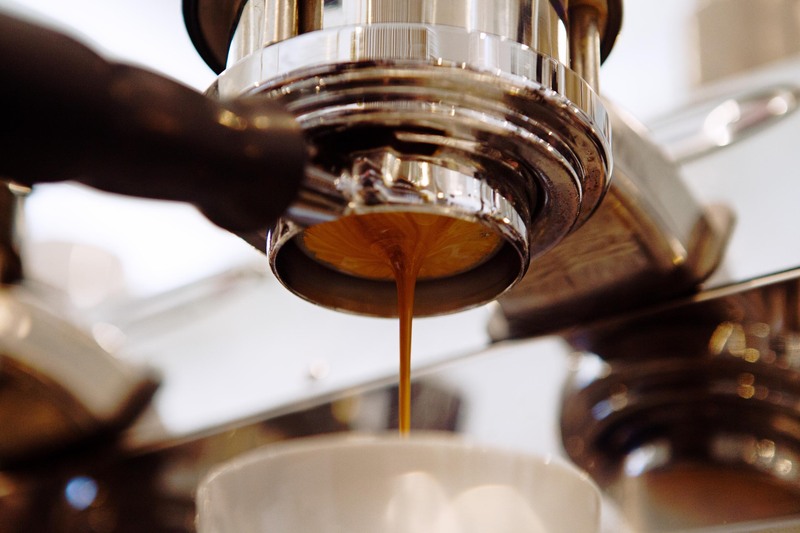 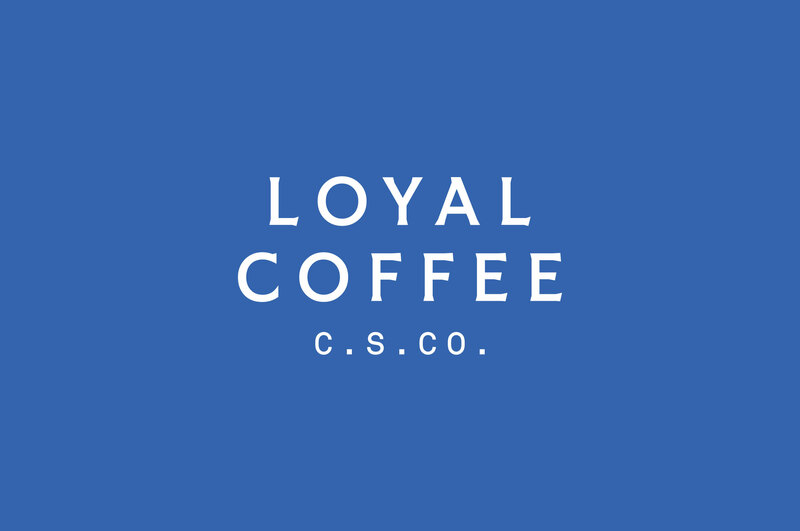 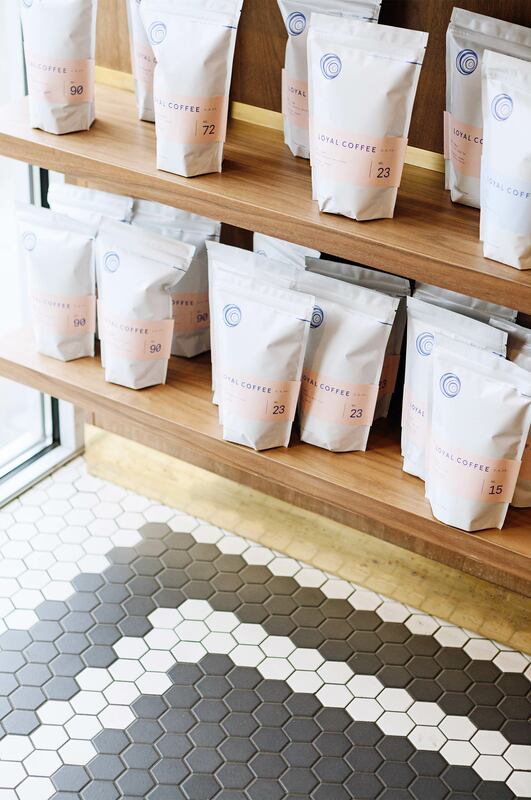 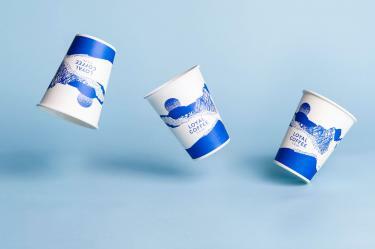 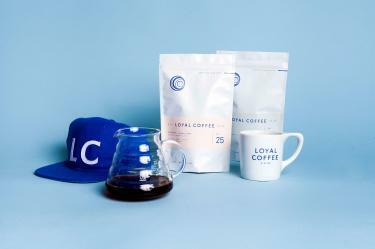 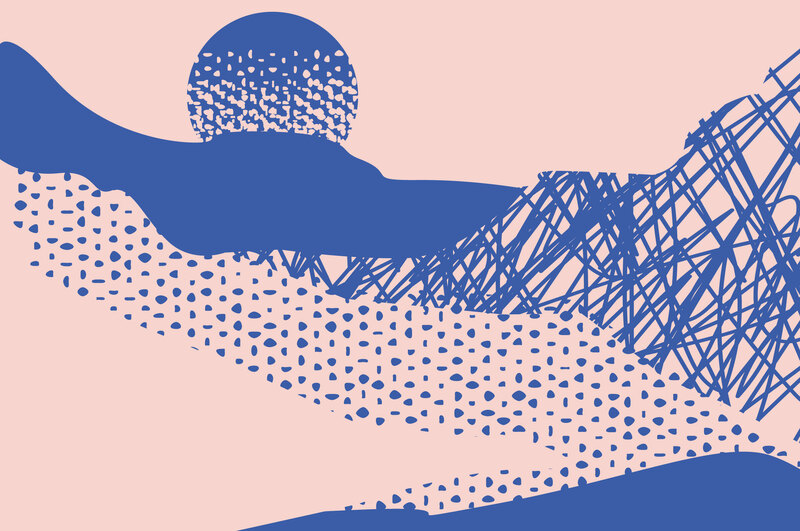 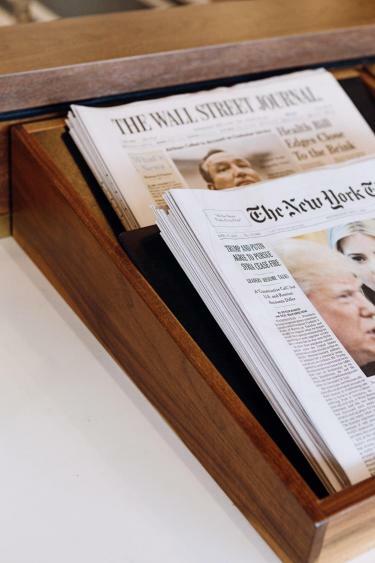 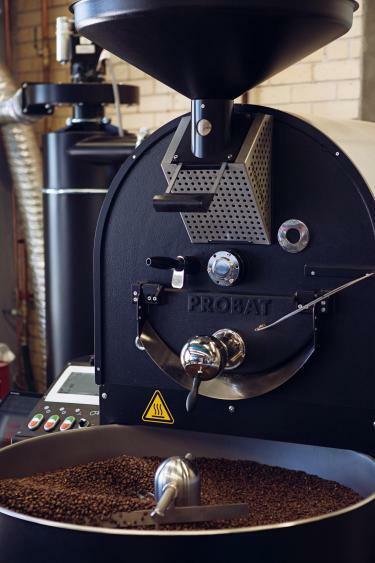 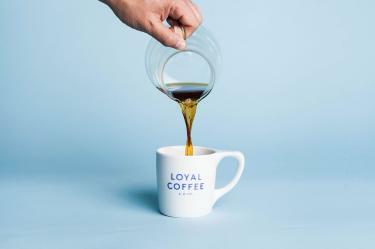 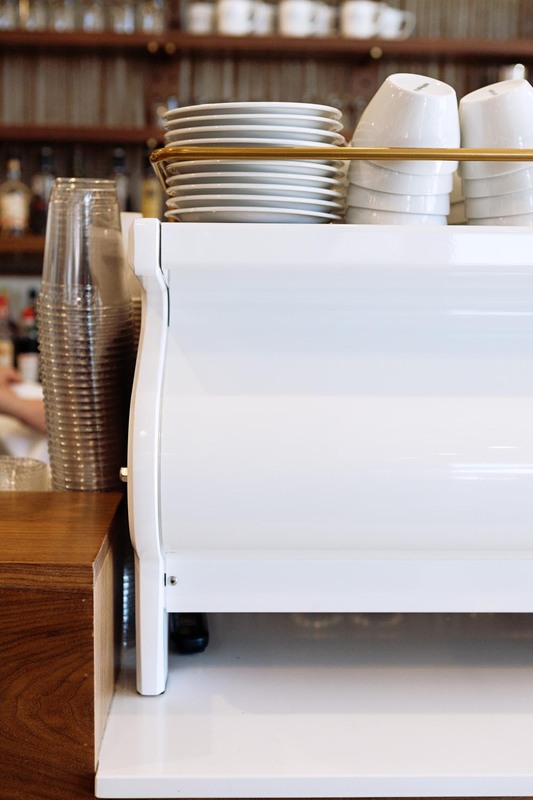 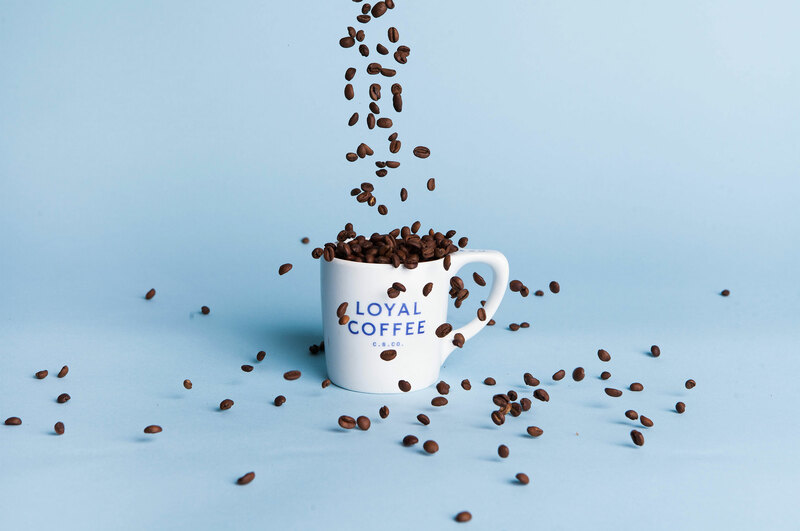 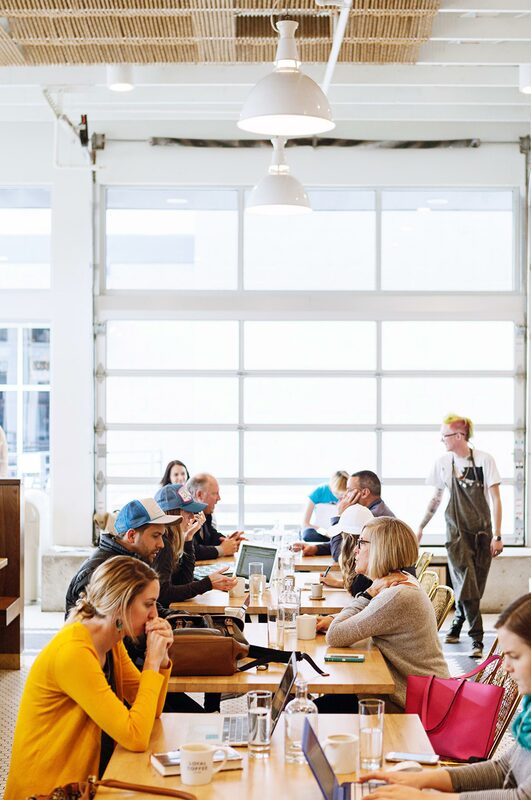 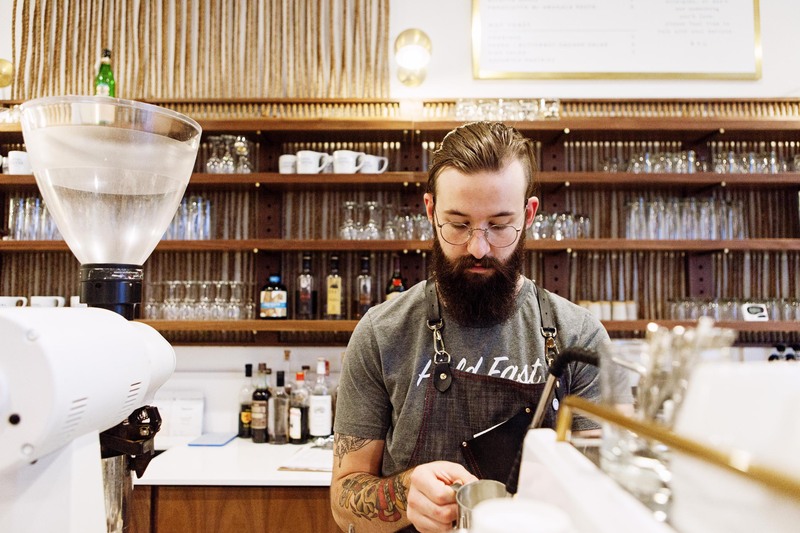 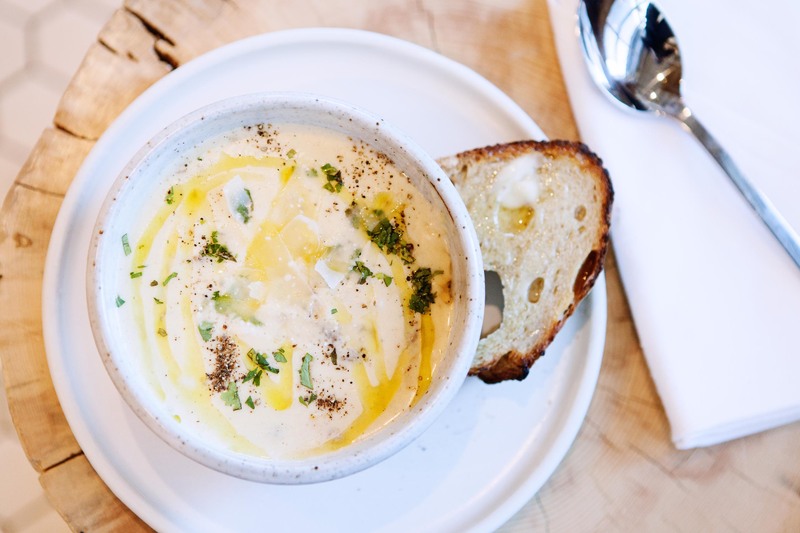 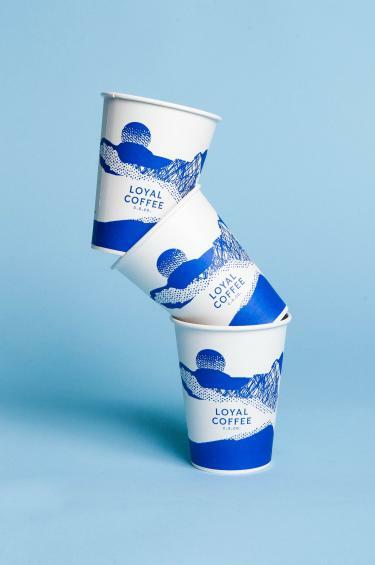 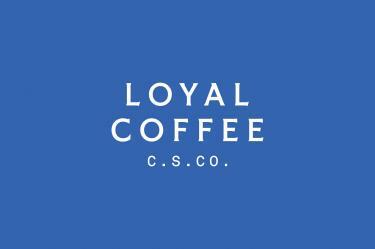 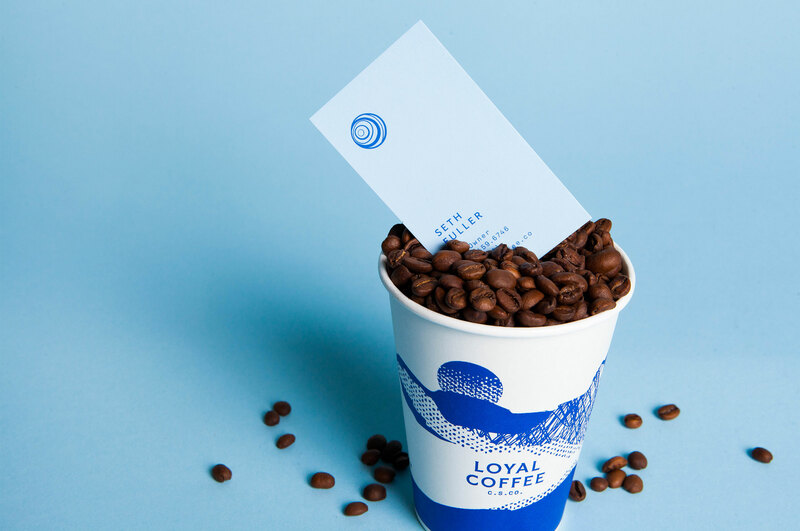 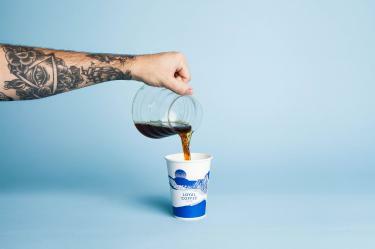 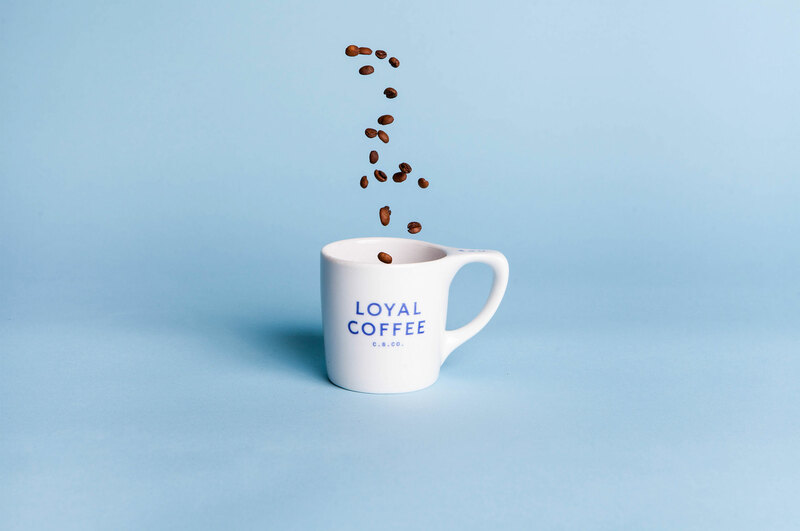 Loyal is a barista owned and operated specialty coffee shop dedicated to creating a full five sense experience for their guests through a beautiful space to work, relax, and connect with others. 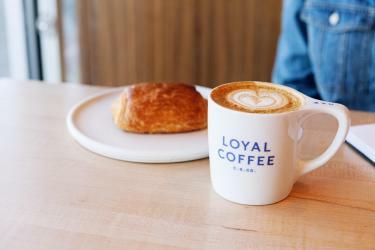 Commitment to Friends and Place. The Loyal story is really a story of the owners. 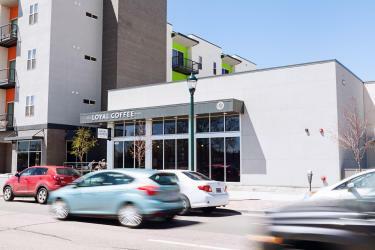 Six friends all unique in their own right, aligned under one umbrella: A belief that Colorado Springs deserves a better culture and that quality coffee can be the catalyst. 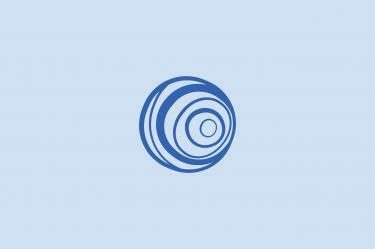 The symbol is representative of the six founders. 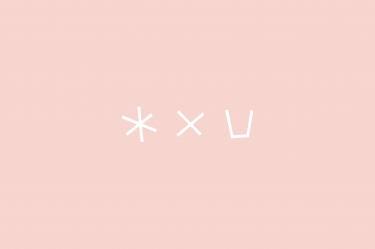 The most noticeable trait of the symbol is the organic nature of the six rings (one for each owner) that make up the mark. 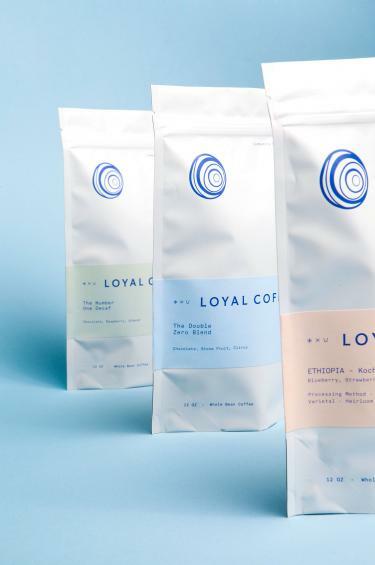 This unconventional choice was made to speak to the nature of their partnership: Six different people coming together to own a business is unheard of. 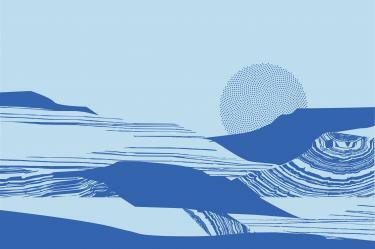 Most would consider that an uphill battle. Only an organic bond between friends could make such an unconventional partnership work. 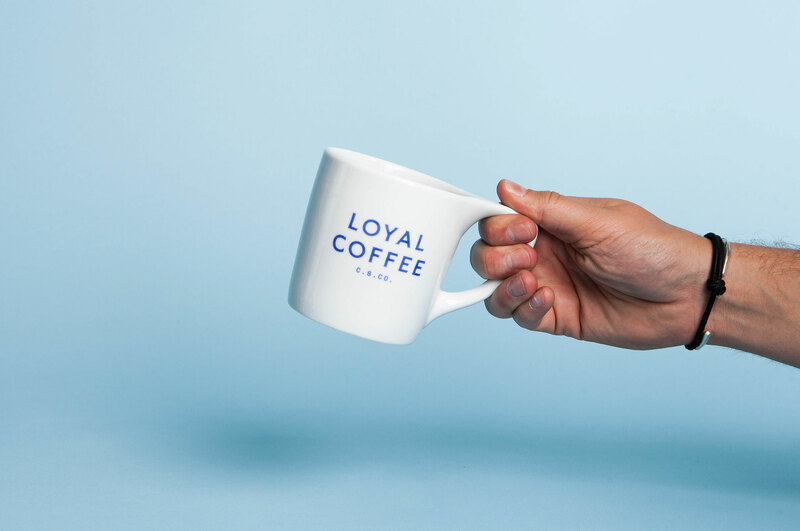 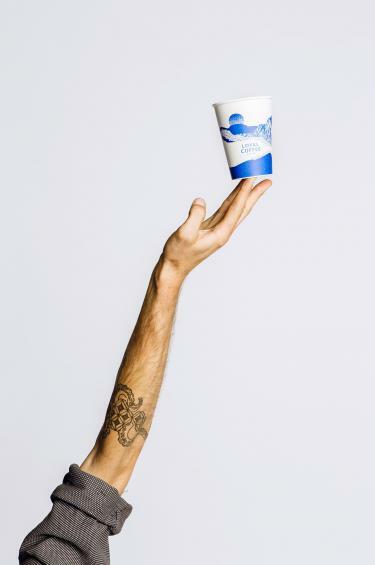 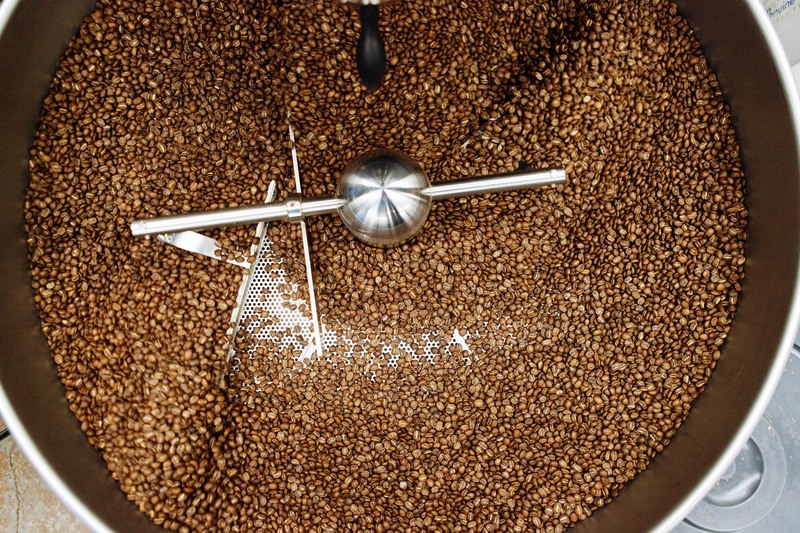 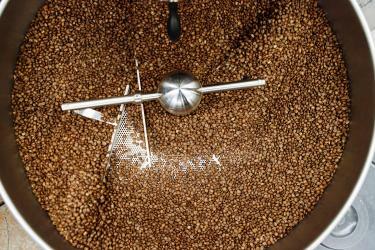 Community by way of coffee. 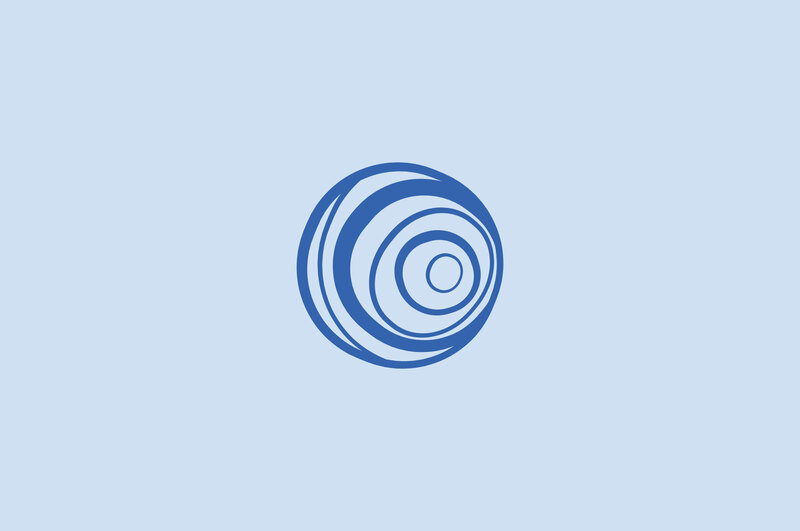 We developed a tertiary mark comprised of symbols to tell the story of the Loyal Mantra. 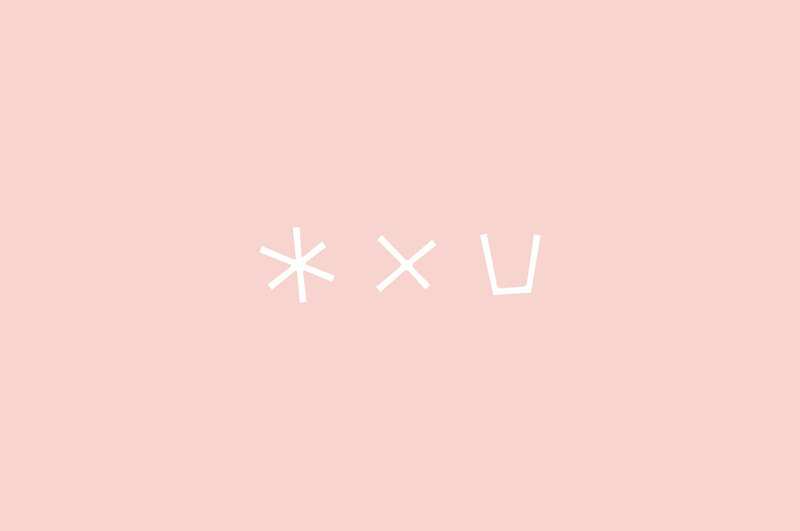 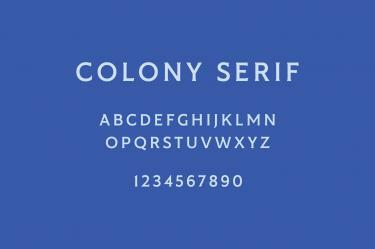 We developed a custom typeface based on the Loyal wordmark, to be used throughout the buildout of the brand. It’s structure references contemporary geometric sans serifs. 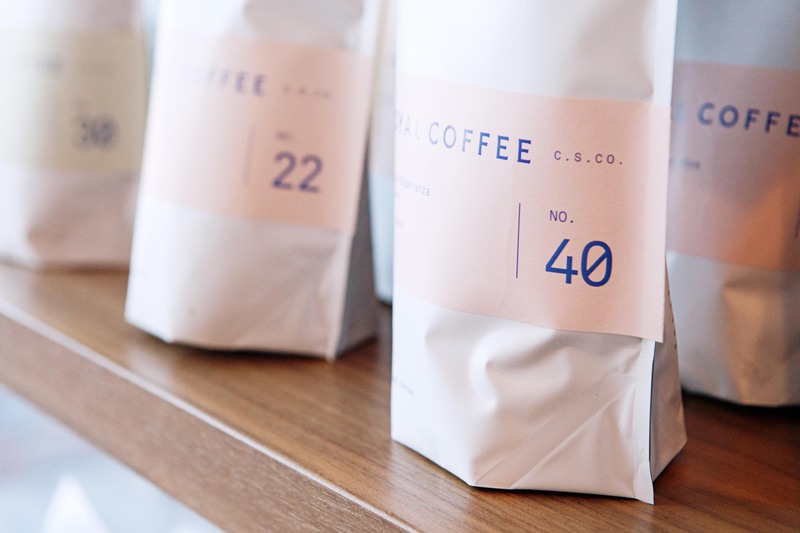 While understated, the sharp serifs breathe classical characteristics into the modern letterforms. 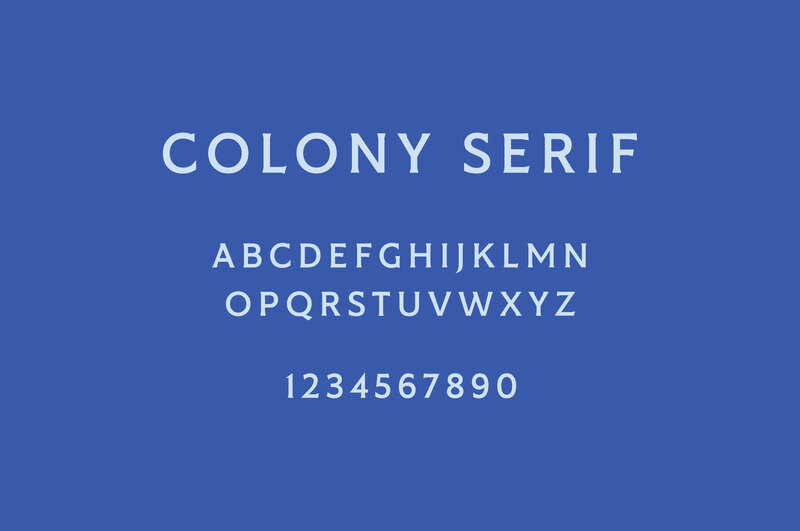 The name, Colony Serif, references an early naming direction that ultimately lost out to Loyal. 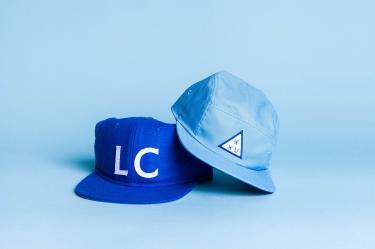 With the brand in place, the team at Telegraph Creative was able to faithfully execute and expand the brand online. 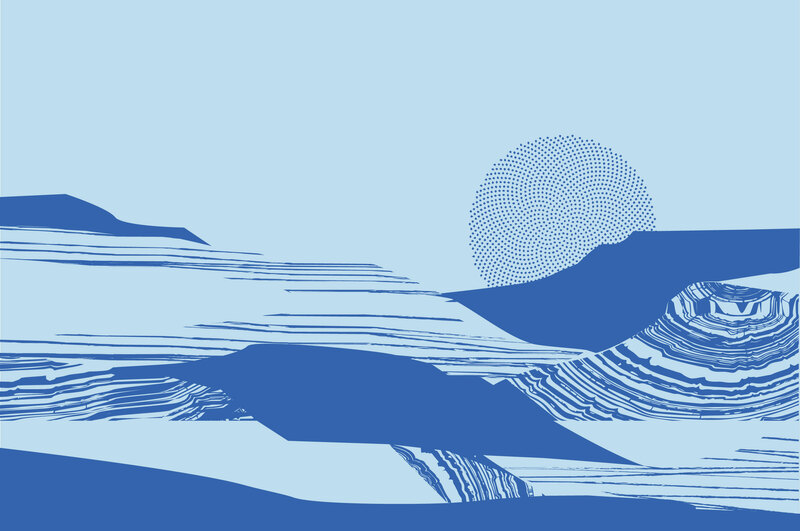 We developed a unique set of illustrations based on the landscape found in the surrounding areas of Colorado Springs. These are used throughout the buildout of the brand and in the physical space.